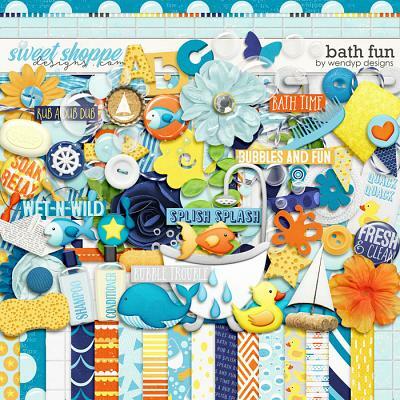 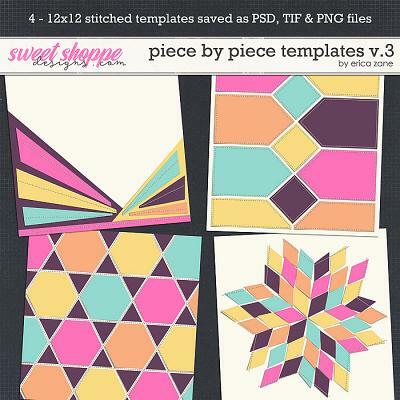 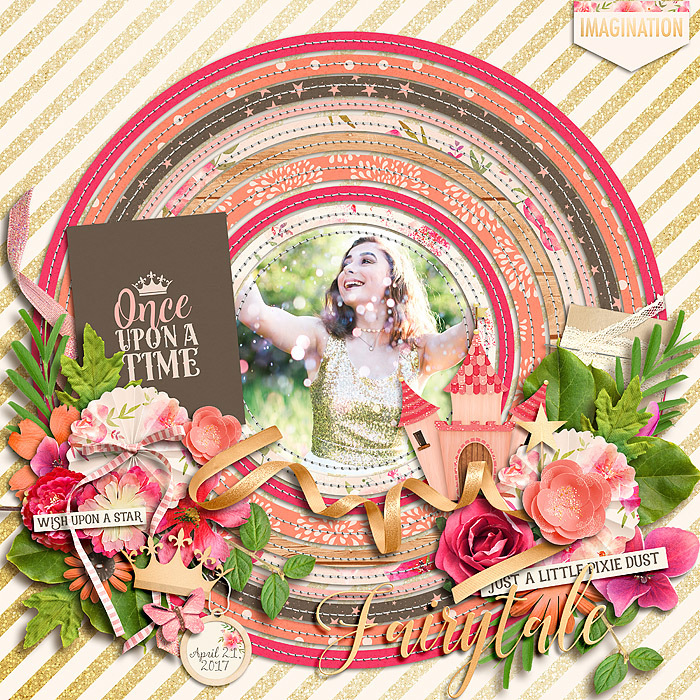 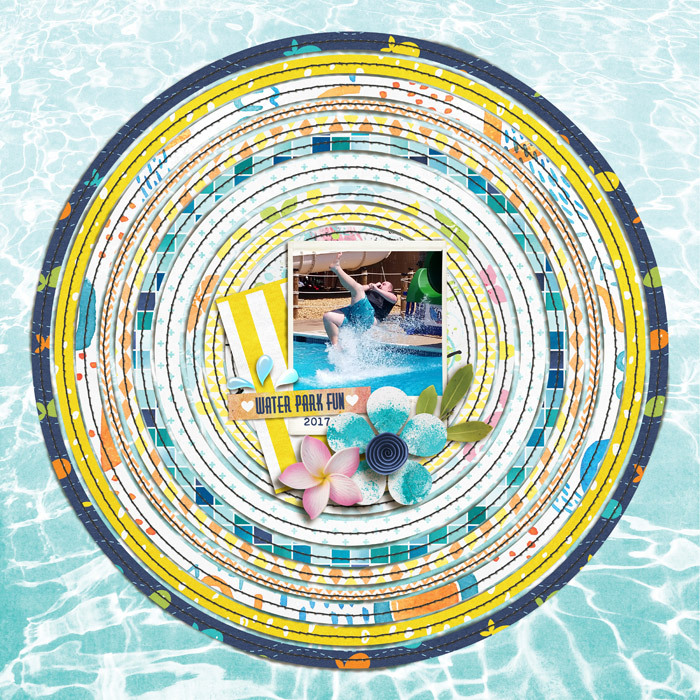 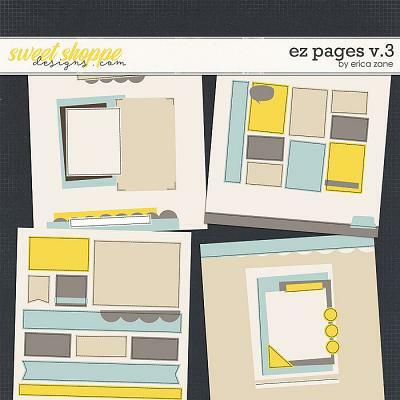 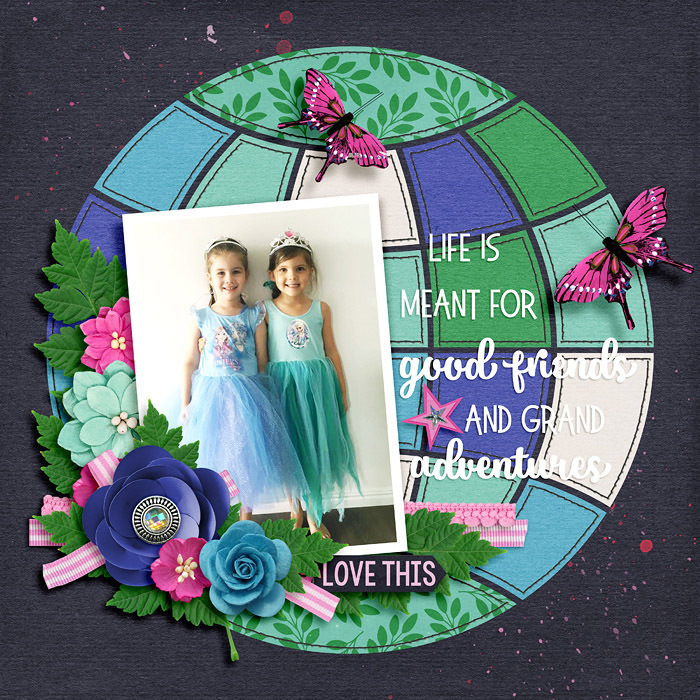 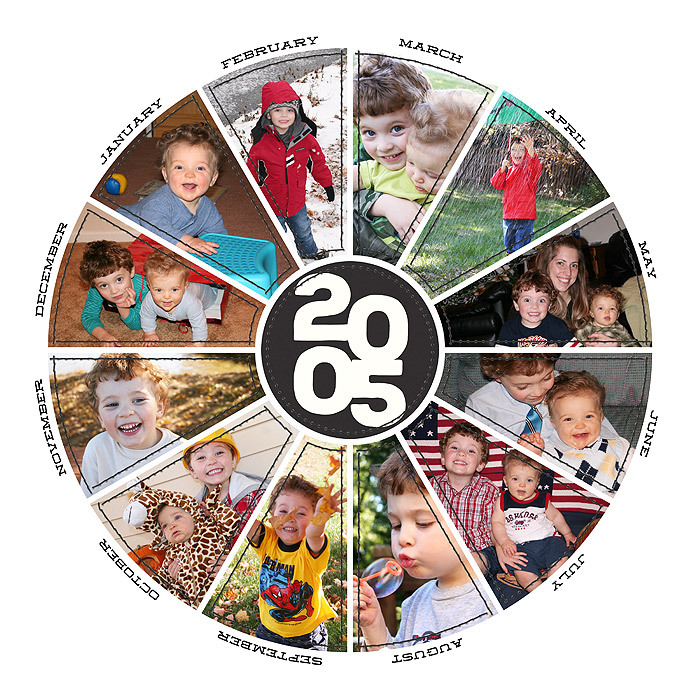 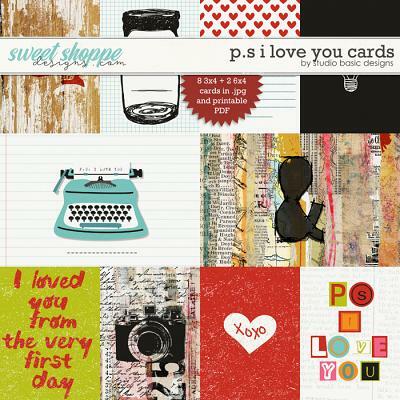 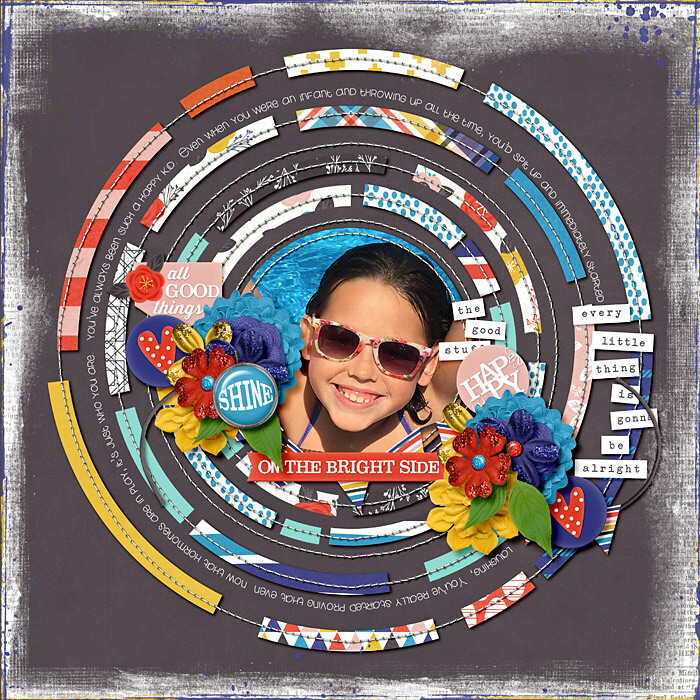 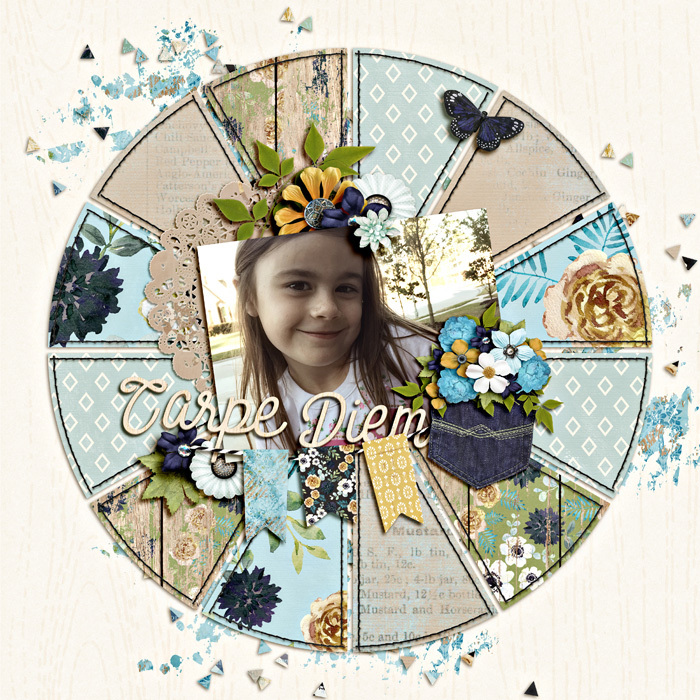 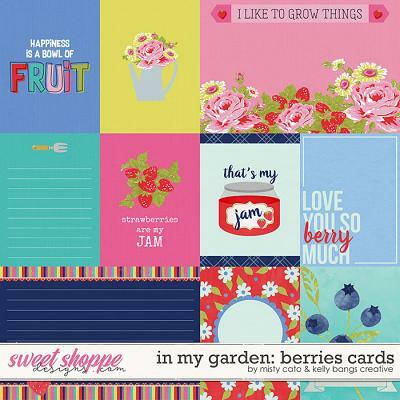 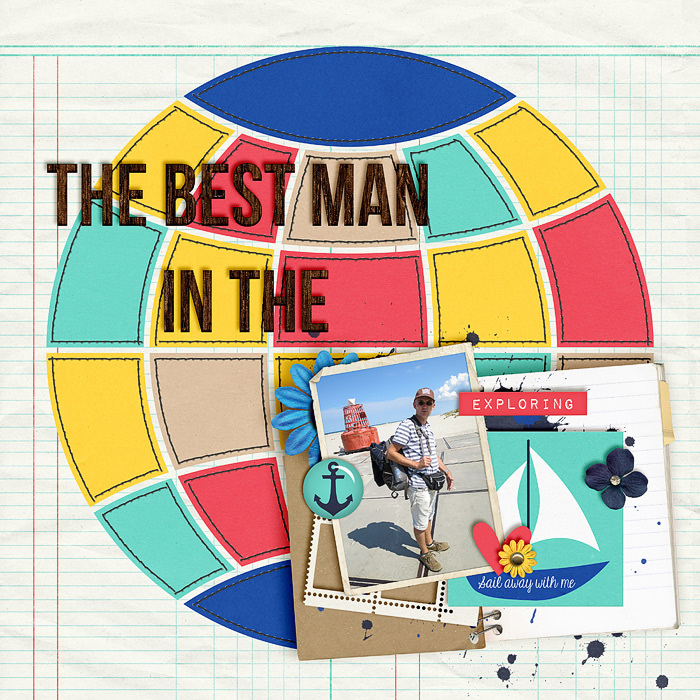 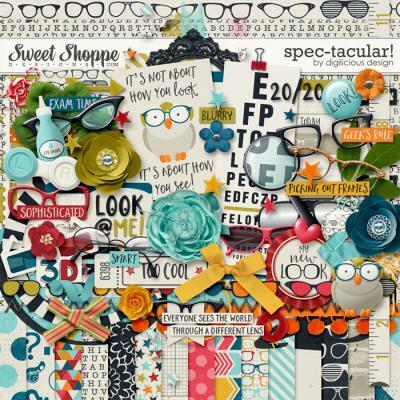 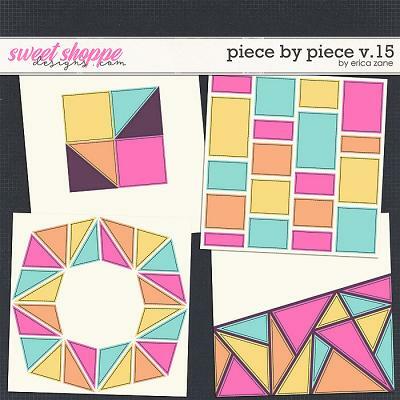 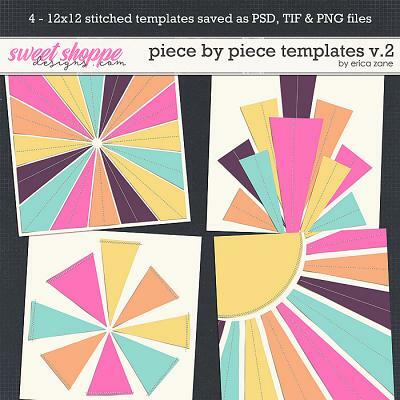 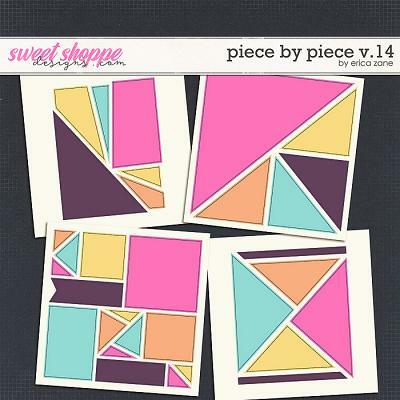 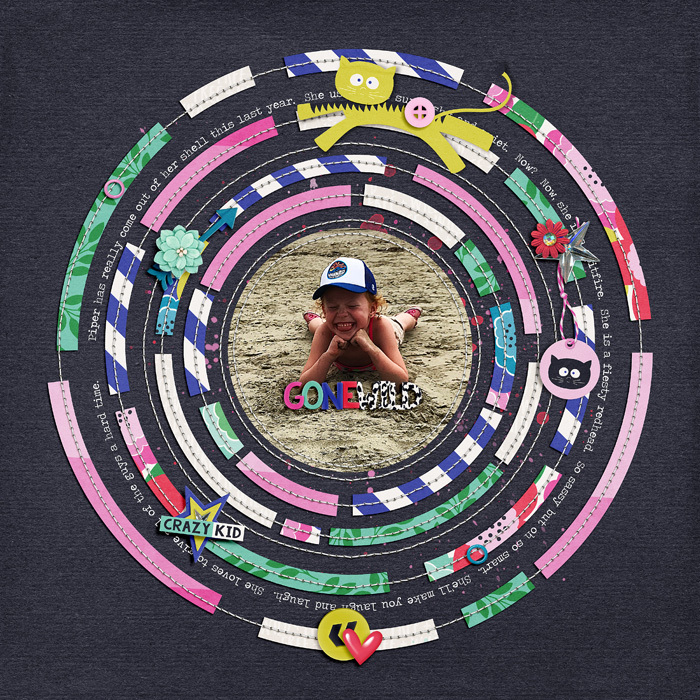 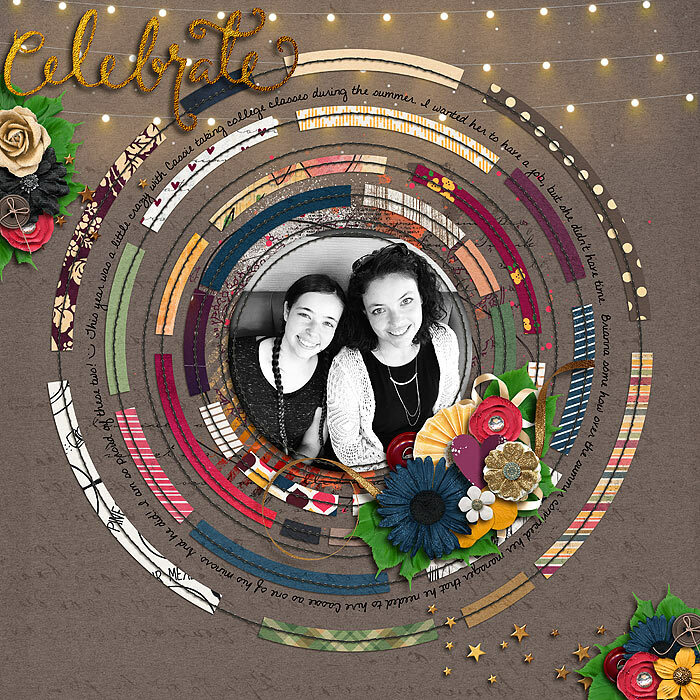 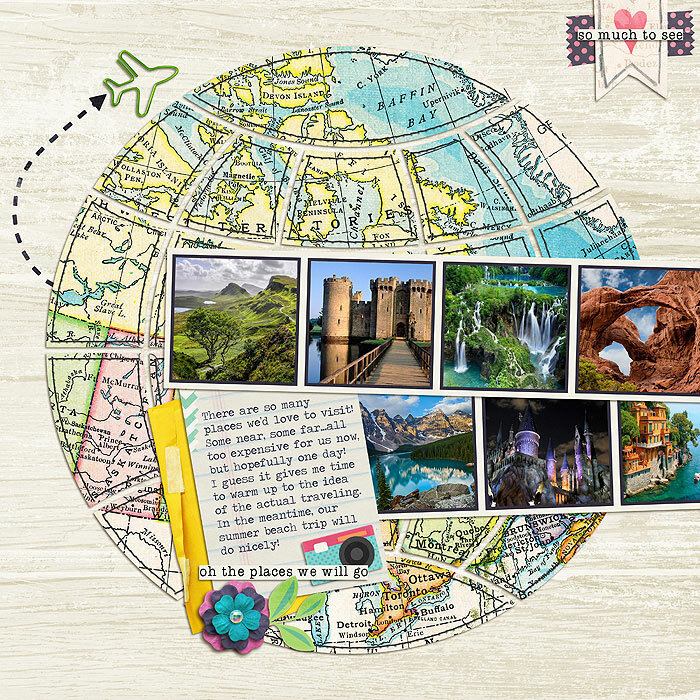 A digital scrapbooking template set by Erica Zane, Piece by Piece templates will make your scrapping quick and EZ! 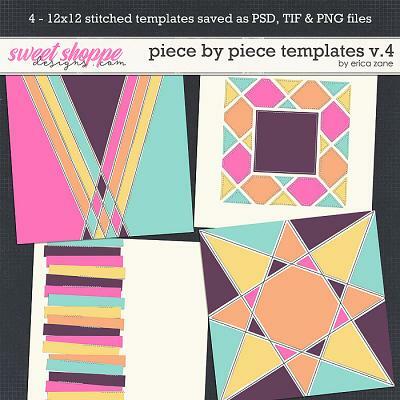 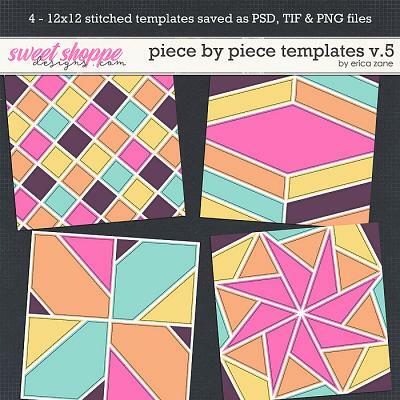 This set of 12x12 digital scrapbook templates includes 4 templates each saved as .PSD, .TIFF and .PNG files. 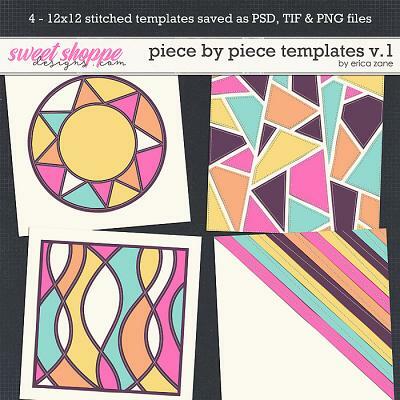 This template set also comes complete with stitches - both black and white versions - to make things nice & EZ! 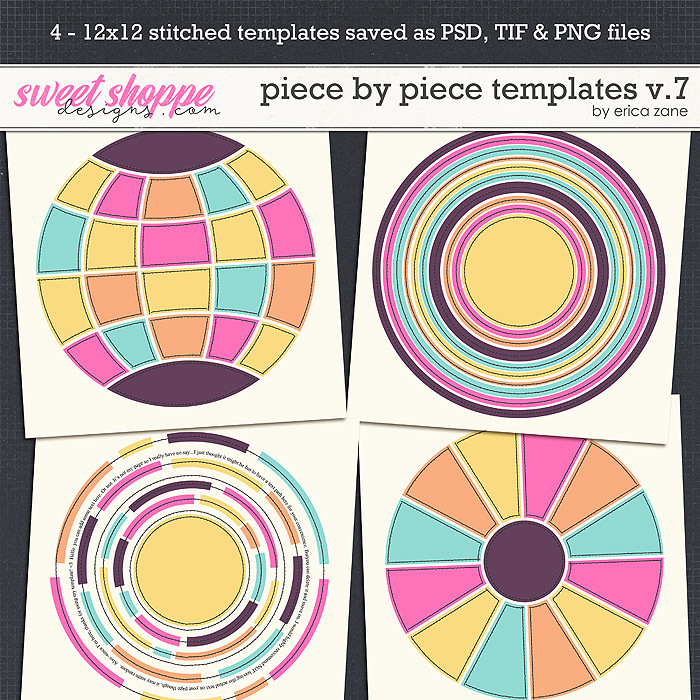 There are 3 downloads - one for each file type - you can download them all or just what you use most to save disk space.